Keyword research is a core part of any content marketing or SEO strategy, so it makes sense that knowing the keywords of your competitors would also be important. 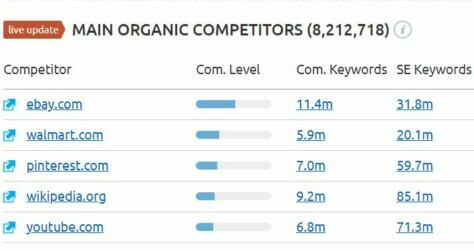 Before you write and publish a post you should ask yourself “What Keywords are my Competitors using?” and the best place to find answers is by using a keyword tool. 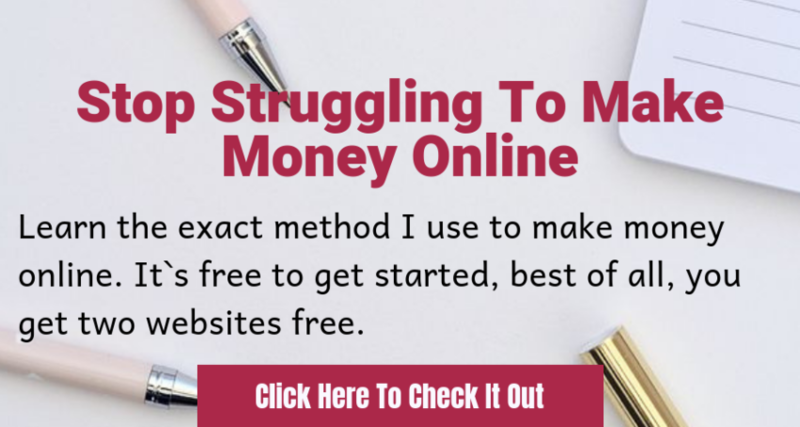 Knowing how to do this is important because as you become more developed and advanced in your online business, then the more likely it is that other companies will also start watching and analyzing your progress. So the more aware you are of both your own keywords and your niche competitor’s keywords the more you will understand your own ranking potential. In the beginning, your keyword research probably consisted of sourcing keywords using manual research tools such as Google search and autosuggest and the AdWords planner. As your business grew then keyword research may have extended to more complex keyword tools and site ranking tools such as Jaaxy which enables you to search for and analyze your own keywords and the immediate current competition for certain words and phrases. The next stage is to understand how your overall keyword targeting compares to that of other authority and competitor sites within your niche. Site ranking is not just based on accurate keyword use, a host of other factors come into play as well, these include but not limited to(Google never really say it openly) but Brian Deam from backlinko.com believe it`s over 200 factors that Google use to rank websites. The age of the website – older websites are usually seen as having more authority and as having greater long stay potential (they won’t suddenly disappear overnight). Tags – the use of tags is important because these categorize your content and show search engines that you have more than one article on this topic or theme – so it will be potentially more beneficial for searchers looking to read about this subject. Backlinks – developed naturally these illustrate to search engines that other site owners and industry niche sites like your content and are willing to share it with their own readers. Keywords – like tags these show the search engine what your content is about, long-tailed keywords are more specific and target very clear searches, but general articles and more competitive keywords can rank well if the other factors listed above are in place. All of these factors illustrate to a search engine that your content has authority and relevance to the search. These are the same factors that your competitor will have and will be assessed for as well by the search engines, so the more you can understand the breakdown of their results the better you understand your own ranking position or how well you`ll rank. One of the more advanced keyword analytics tools is made by SEMrush. Here you can track websites and analyze how and where they are getting their traffic. The following screenshot highlights the major areas that can be analyzed and this is presented in your search dashboard. As you can see there is a high amount of traffic both organic and paid coming to the site. I originally tried this exercise using Facebook.com as the web address but discovered Facebook actually had no backlinks recorded. If there is a high level of common keywords then they would be deemed a competitor. There are other reports available to look at including the number of paid searches, keywords used and main landing pages. However, I’ll share one more graph that I found to be interesting which was the backlinks analysis. Now you too can check your competitors and see what they rank for and you can go as far as check their backlinks, you can try SemRush here 7 days free. As you can see, Amazon biggest competitor is eBay as the site also sell products. Check an earlier post here to learn how to sell on eBay and make extra cash. Here you can see the breakdown of backlinks both the number and also the type of link. Most links are text, but interesting to note that forms, frames, and images are also being used. This graph is useful for affiliate marketers as well, since it illustrates how people are referring their readers to Amazon as potential customers like me and you. The SEMrush tools isn’t cheap starting at $70 per month to access their full reports. But you can sign up for a free account and pull off reports such as these at no cost, so it is certainly a tool worth looking at, especially if you have identified sites that could be considered as potential competitors, check them out, find what their backlinks are or spy on their keywords. The link below will lead you onto their site, simply enter a domain or URL that you wish to explore. Semrush is easy to use and quite accurate. Now there are other tools like Semrush around but most cost, something that not all new bloggers can afford or are willing to invest in given that blogging cost more than you are made to believe in the beginning, there is always something you “must have” and you can`t have it done on your own so you need to outsource. If you`re only looking for a keyword tool that will help you find low competition keywords, then Jaaxy is the way to go. It`s a fraction of Semrush but the results are quite accurate. Click here to try Jaaxy free. Writing blog posts as a business involve a fair amount of analysis work and SEMrush offers another potential tool to add to your collection. On this site, there are a number of other articles that focus on useful tools for analysis and other tools you may need to improve your blogging experience. Reduce Grammar mistakes when writing. If you have any questions please feel free to leave them in the comments section below, I hope you`ve now understood the importance and why you should find competitors keywords then write a better more appealing post and rank higher than they do. I’d love to hear of other tools you would recommend or your own experience of using SEMrush, thanks. This is definitely an area I need to learn more about and implement consistently. Thanks for providing information that demystifies this element of blogging! Glad you found the post useful, Keywords are a must if you want to rank high in the search engines, there are so many blogs out there that if you`re on page 2 of google, no one will find your post. Try Jaaxy for keyword research, it`s totally free to try. Thanks for stopping by, Jaaxy is a brilliant tool to help you find low ranking keywords so you can easily rank your posts high in search engines.